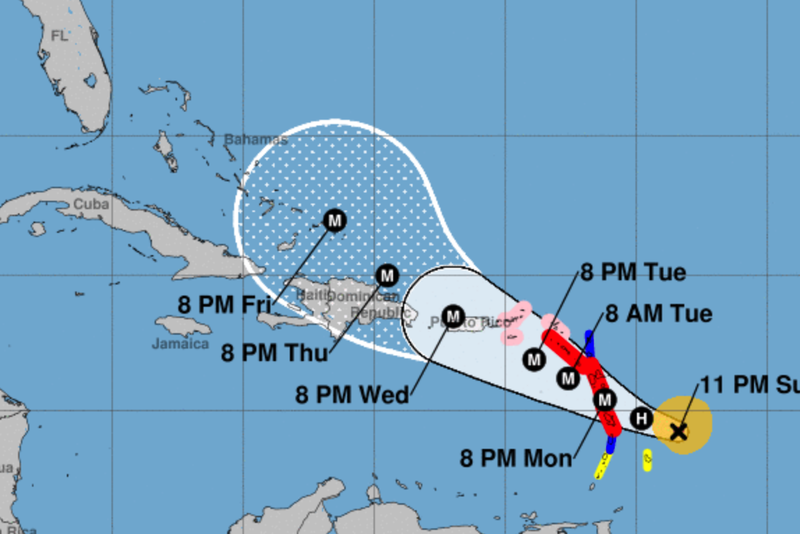 Maria is strengthening rapidly in the Atlantic. The M = major hurricane. It may be Cat 3 or 4 intensity by the time it arrives. 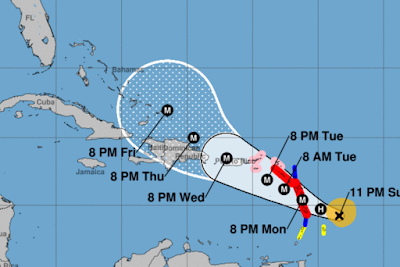 It is far too soon to speculate on what effect, if any, Maria may have in the United States.